Jochen Hoffmann (born in 1971) studied law and business studies at the University of Bayreuth. He passed the First State Examination in Law in 1995. During his time as a trainee lawyer, he worked as a research assistant at the Institute of Criminal Law and Legal Philosophy at Friedrich-Alexander-Universität Erlangen-Nürnberg (FAU). He received his doctoral degree at the University of Bayreuth and passed the Second State Examination in Law in 1998. From 1999 to 2006, he worked as a research fellow at the Department of Civil, Trade, and Business Law at the University of Bayreuth. He was awarded the Bavarian Habilitation Prize in 2001. After completing his habilitation in 2005, he became adjunct professor of civil law, banking and stock market law, labor law at the University of Leipzig. From 2006 to 2009, he was professor of civil law, business law and international business law at the University of Hamburg. 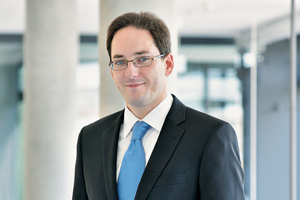 Professor Hoffmann has been Chair of Private Business Law at FAU since 1 October 2009. His research focuses on civil law, especially consumer law, business law and company law, banking and insurance law, antitrust law, and European and international business law. In: WM Zeitschrift für Wirtschafts- und Bankrecht (2016), p. 1110 ff. In: Zeitschrift für die gesamte Versicherungswissenschaft 105 (2016), p. S. 95 ff.